Grace VanderWaal joined Mila Kunis on the red carpet for the ‘Wonder Park’ premiere on Sunday (March 10) in Los Angeles, California. 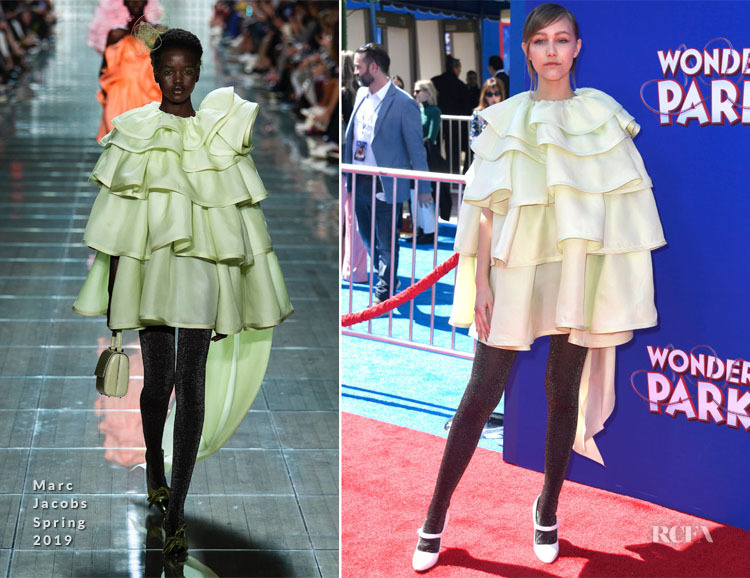 The actress wore a voluminous Marc Jacobs Spring 2019 lime-green ruffled dress which may have some on the fence. This will come down the tights. Personally I think the dress was too short not to be worn with tights, but I wish they weren’t black; especially when she opted for white pumps.